Over the past 18 months, Adwen’s 8 MW platform has undergone one of the most extensive validation campaigns in the industry. The nacelle has successfully completed pre-commissioning tests at Fraunhofer IWES DyNaLab. Afterwards the hub has been mounted to the nacelle in the Adwen facility. Now the unit is undergoing additional testing. 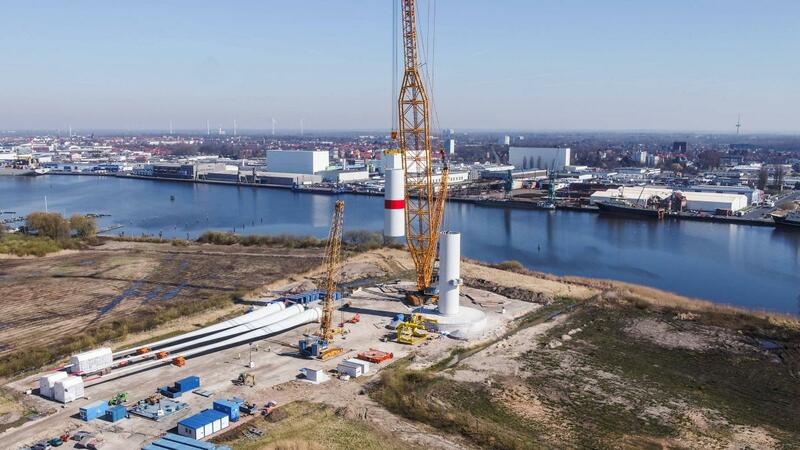 The new AD 8-180 platform has a 180 m rotor. With 8 MW of nominal capacity it delivers the largest AEP in the industry contributing to competitive offshore wind cost of energy. The turbine has been selected for three projects off the coasts of France, totalling 1.5 GW. The AD 8-180 is based on Adwen’s 5 MW platform, of which the company has already manufactured close to 1 GW.